One thing you must know about the MTN 500MB for N25 Night Plan is that it valid for 24hrs, and its usable on Android, Blackberry, Windows, Laptop, Nokia Phones and course any internet enabled device, so you need not worry if it would work on yours, as long as your device is internet enabled you’re good to go..
How then can i subscribe for this plan, well the next paragraph is for you, however you need to take some few things into consideration.. what and what??? 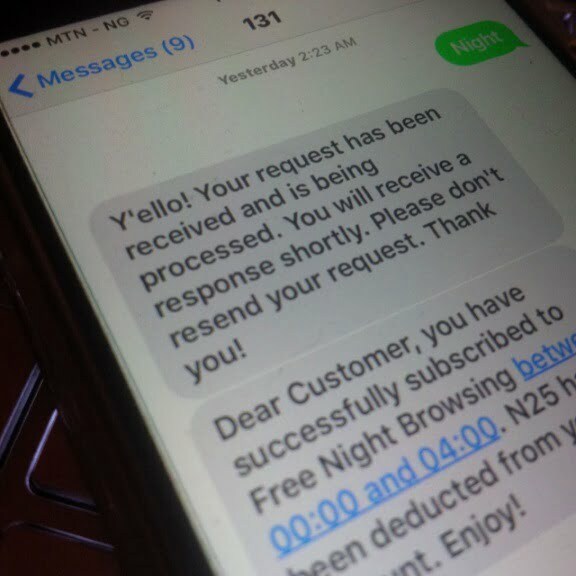 read on..
At what time can i use the MTN 500MB FOR N25 Night Plan ? ?